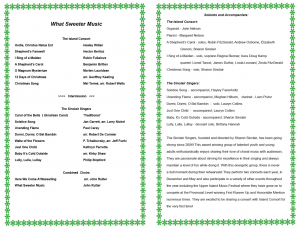 Here is music to put you in the mood for the Festive Season. 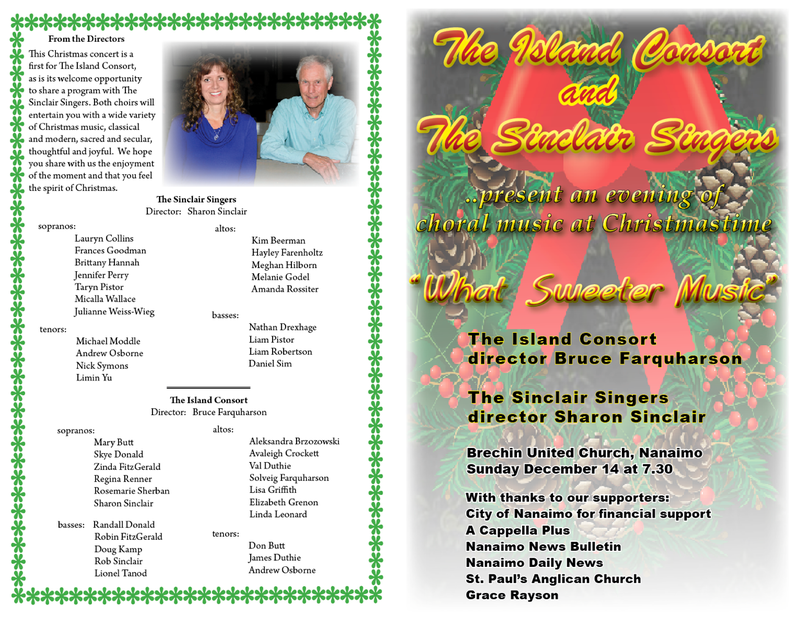 The Island Consort Chamber choir presents its first ever Christmas program, “What Sweeter Music”, along with that sparkling youth choir, The Sinclair Singers – with a wonderfully varied package of Christmas repertoire. 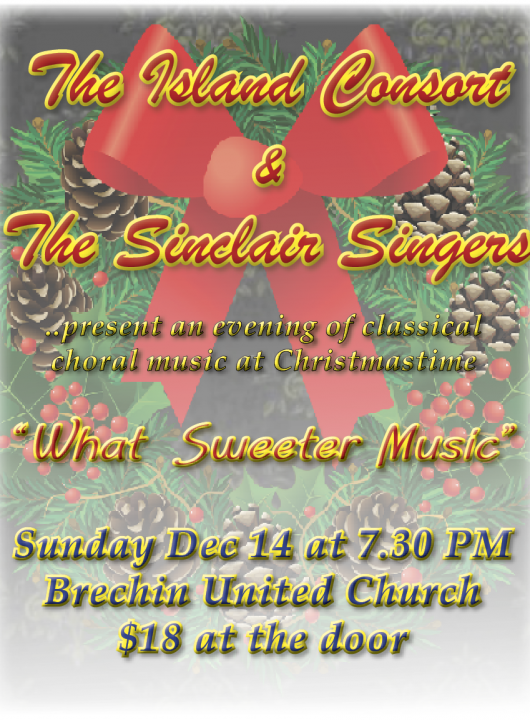 The program includes classical works such as Berlioz’ “Shepherd’s Farewell” and Healey Willan’s “Hodie, Christus Natus Est”; contemporary material such as Lauridsen’s “O Magnum Mysterium” and Rutter’s “What Sweeter Music”; a new composition, “I Sing of a Maiden” by Parksville’s Robin Fullalove; and traditional songs such as “The 12 Days of Christmas” and “Here We Come A’Wassailing”. 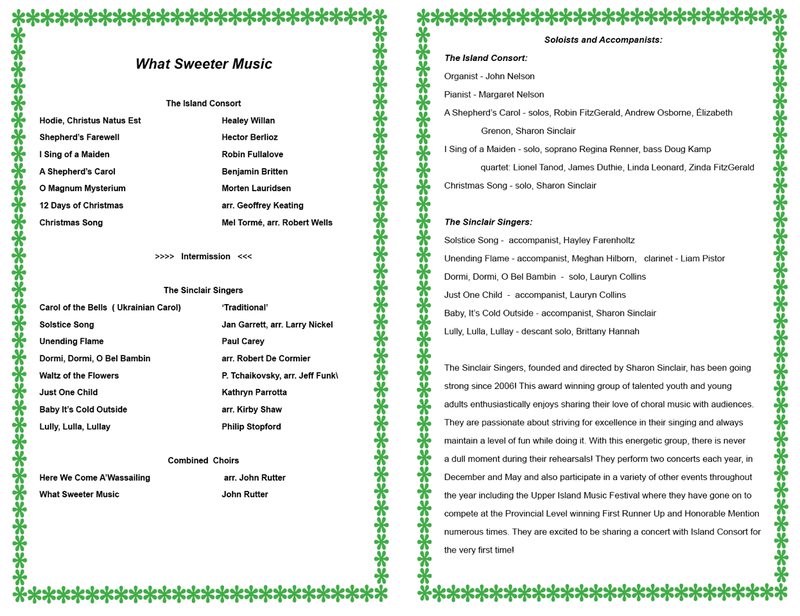 The two choirs will each perform separately but will join forces for the last two pieces. 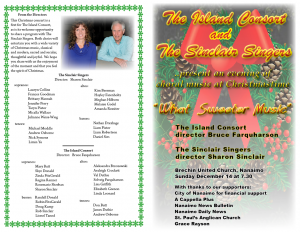 Piano and organ accompaniment will be played by Margaret and John Nelson.